Ah, the walrus! With average weights ranging from 2000lbs to 4000lbs (adult males can way up to 4400lbs!) bet you never thought you'd be able to take one home. 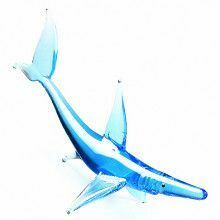 Well we might not be able to help you bring home a full grown walrus, but the next best think are these hand blown and imported from St. Petersburg, Russia. Our artists use traditions passed down through the generations to skillfully manifest animals of all sorts. 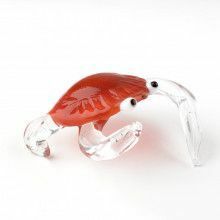 This beautifully crafted walrus is crafted mostly of clear glass, though its bring orange tusks, and little black eyes add eye catching accents to the figurine. 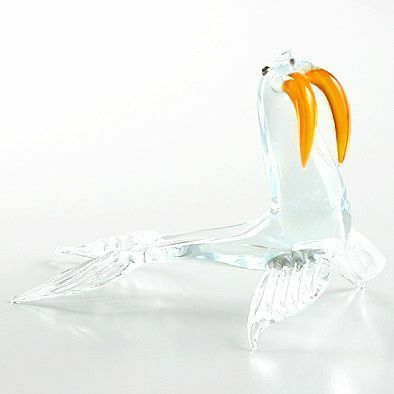 The walrus can live up to 50 years, but if you take special care of this glass figurine, maybe it can last even longer! 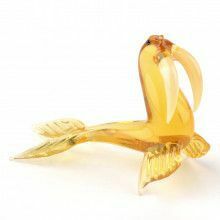 According to arctic folklore the walrus was originally an abandoned girl, and its tusks were formed by her tears of loneliness, but fortunately our glass figurines will only bring joy. 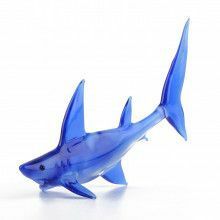 Great for a collection, great as a gift to yourself! Each piece is crafted one at a time, so no two pieces are exactly a like!